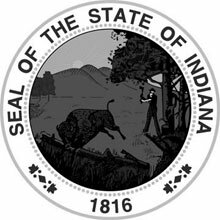 In the state of Indiana, game warden jobs are highly competitive at this time. This competitive job landscape applies to individuals who are vying for jobs with both the Indiana Department of Natural Resources and the US Fish and Wildlife Service. As only the most highly skilled and passionate individuals will be considered for an entry-level game warden position, it's important to have the necessary interests and skill set before committing to the application and selection process. Often, a game warden's job responsibilities will include patrolling for those violating fish and wildlife laws, as well as for the safety of hunters and visitors, assessing and remediating damage to animal habitats, and collecting bird and game census data. The best candidates come to the role already passionate about conservation issues. The boundaries of a warden's jurisdiction could include thousands of square miles, which makes the logistics of the position quite demanding. Applicants should understand that due to the scarcity of positions, many candidates apply to both the sate DNR and the USFWS in search of open positions. This makes it vital for candidates to meet and even exceed the minimum employer mandated qualifications for the role. Men and women with a strong sense of justice and who enjoy working with the public on conservation issues are encouraged to consider a career as an Indiana Conservation Officer. Sometimes known as game wardens or wildlife officers, Conservation Officers in Indiana have many opportunities to build a satisfying and lucrative career. Conservation Officers are primarily responsible for managing licenses, hunting and fishing limits, and poaching infractions under state and federal law. They are also promote and coordinate firearm safety programs, hunter and fishermen education and boating safety programs, conduct field surveys on fish, game and birds and their habitats, as well as educate schools and advocacy groups about issues regarding safety, regulations and conservation issues. These diverse job duties mean that a Conservation Officer candidate must be prepared to be a tough competitor during the job selection process. In addition to information and job postings available through the Indiana Department of Natural Resources, listed below is the minimum qualifications needed to apply to become an Indiana Conservation officer. License: A valid Indiana-issued driver’s license is required. Academic Credentials: Completion of high school or GED is required; must have achieved one of the following from a CHEA accredited college or university: a 2-year Associate’s degree with certified transcript, OR successful completion of at least two years toward a 4-year bachelor degree as evidenced by a certified transcript. Please note that trade school degrees are not accepted. Medical evaluation: The candidate will be evaluated for vision, hearing, ENT, cardiovascular, respiratory, gastrointestinal, rectal, hernia, genital/urinary, back and neck, extremities, nervous system, emotional stability and laboratory analysis. Vision: The applicant must have better than 20/40 corrected vision with both eyes with a full field of binocular vision, and no red/green color blindness. Game wardens with the Indiana Department of Natural Resources are known as conservation officers. As commissioned law enforcement officers, game wardens in the state receive the same pay as the Indiana State Police. Game wardens who are first hired start out as trainees at an annual salary of $37,590 plus benefits. Once they have completed their training, these game wardens move up to probability officer status and earn $39,213. After that, their salary increases each year on their anniversary date and continues increasing until the 20th year of service.